Being a witch isn’t all fun and games, you know! It’s not dancing naked in the moonlight all the time. It has its moments but sometimes you have to go through a lot to get to them. magic and live another hundred years. the werewolf so it’s not a romantic thing. I just like Brian and I want to him to stick around. We saved that selkie's life, you know. She’s never even said thank you. And then when we thought Brian was safe – I guess I shouldn’t tell you that part - loose lips and all. forth. It’s rather nice having someone chronicle our lives. I wonder what will come next? Leave a witchy comment and your email and you might win a print copy of Looking for Mr. Good Witch - winner to be announced on October 14th. Join our Facebook group for news, pre-release parties, and other fun stuff! I had not heard of a sea witch before---now I'm intrigued. Thanks for the giveaway. Tis the season!! Sounds like a great read! Cleanse and bless this home and hearth. Only good may enter here. I would love to win. Sounds like a really good read for Halloween. 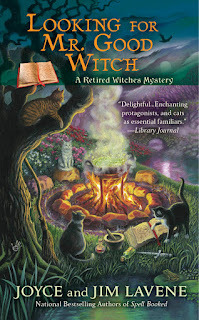 Retired witches - who knew! Must try this series. Happy Halloweeeeeeen!!! Thanks for the opportunity! Double, double toil and trouble, fire burn and caldron bubble, fillet of a fenny snake, in the caldron boil and bake, eye of newt and toe of frog, wool of bat and tongue of dog.... Happy Halloween! Thanks for the opportunity. esaidi1109 at hotmail dot com. This sounds like a fun read. 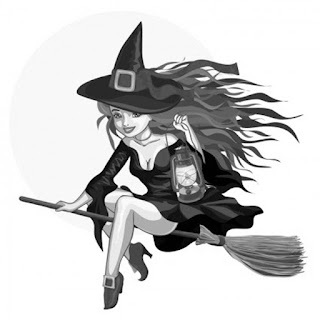 I like that there are so many books now with witches but in a fun way. Thanks for the giveaway. 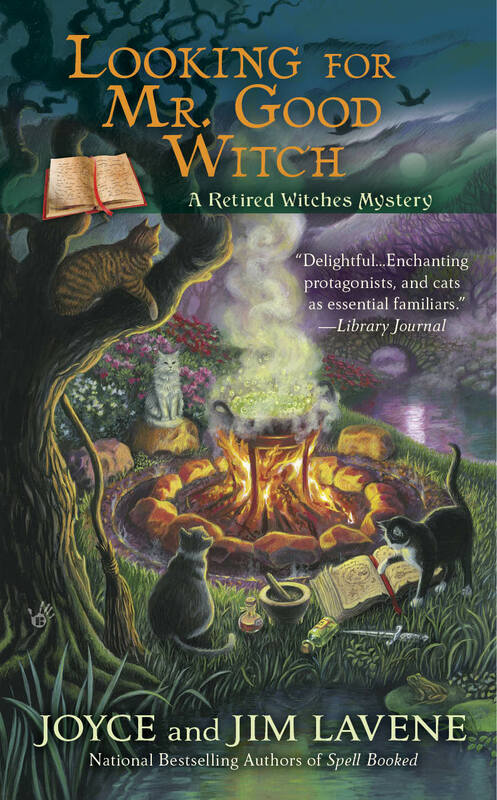 This sounds like a good witchy read! Thanks for the chance to win! Sounds like a great story that I can't wait to read! That there is at least one male witch included (not enough of them around, as far as I'm concerned), just makes it all the more interesting. Thanks for the chance to win. Bubble bubble, toil and trouble. Just in time for a witchy story. I'd love to win this!! Cold wind chill you to the bone? Do what Spooks have always known! A warming cup of Witches' Brew! Thanks everyone for being here. My winner is Tracy Kilgore!